I can’t believe the time is almost here for Hannah to take on the Goofy Race and a Half Challenge!! It seems like just yesterday when she wrote her first Mission to Marathon post on putting her training plan together for this race weekend. Boy time sure does fly! 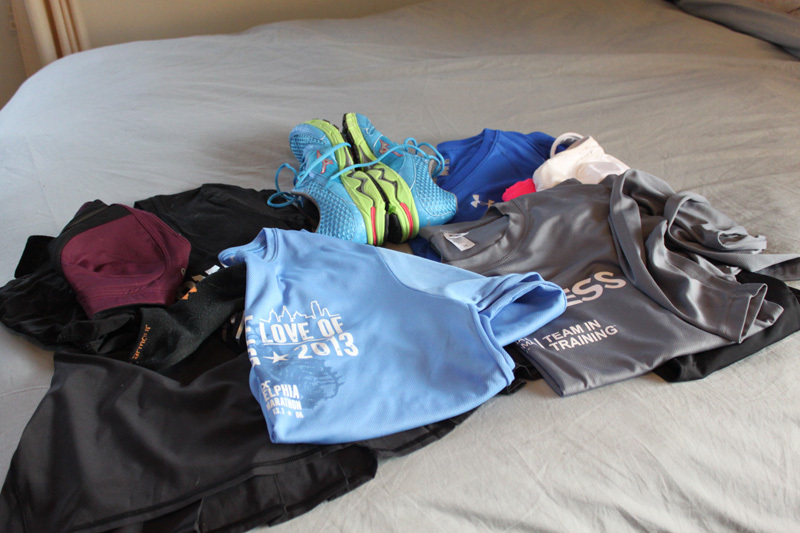 Well as she is continuing to taper, she is getting ready to leave for Walt Disney World and she is here with some great packing tips for a RunCation! Best of luck Hannah and we can’t wait to see you get all that runDisney bling in a few short weeks! 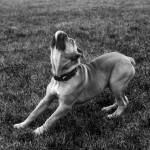 Holy Moly, can you believe its December! And, halfway through at that!? Time is flying…I would know. I turned 30 on the 5th and it just came and went and wow…I can’t believe I’m in my 30s now! 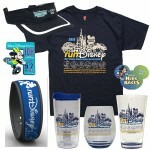 But enough about me, here’s some info on how to get yourself all packed up and read for your Disney RunCation! This post is highly focused on those flying into their destination, but modify as you will for those driving/train-riding/etc. BEFORE you pack anything, check the weather and then check it again, and again, and possibly plan for weather different than what you’re anticipating…Florida is notorious for drastic weather changes. 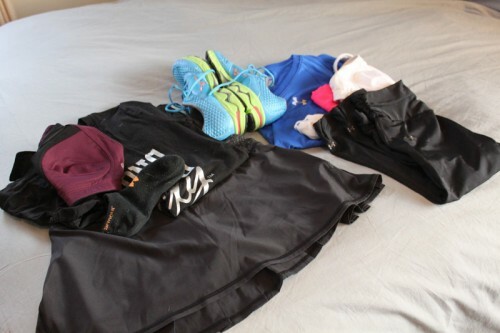 Your Race Day gear is the MOST important thing you’ll pack. I strongly recommend laying out the clothes, socks, shoes, underwear, etc that you will need for the actual race before you do anything else! Pack your race day gear into your carry-on luggage. You do not want this getting lost. 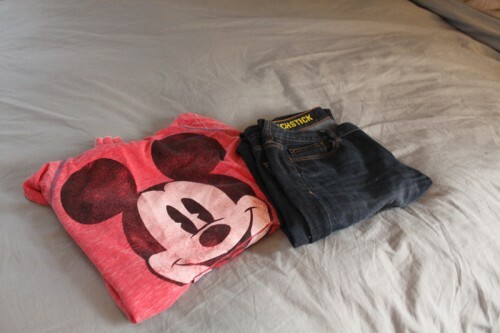 Next up I add in my cover-wear (my throw-away clothes). 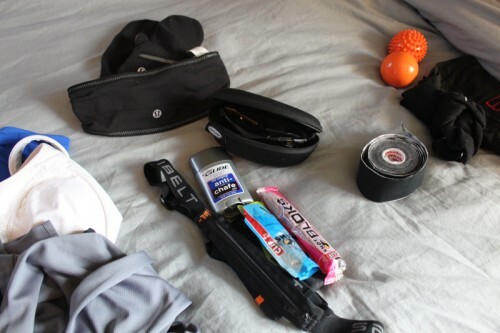 You can use your discretion with what is “essential” for race day to determine what needs to go in your carry-on. The rest can go in checked luggage. Here’s all my race stuff laid out, ready to be packed! 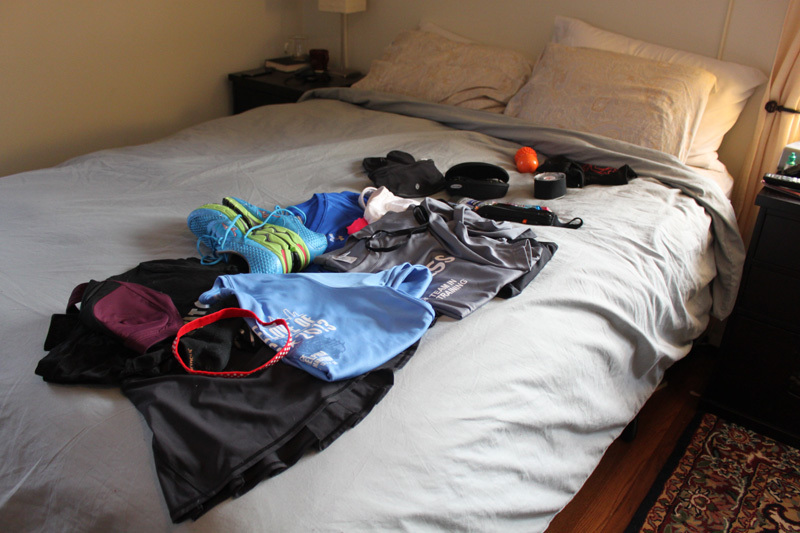 Once your race day gear is packed, you will have a better idea of how much room you’ll have for other stuff and how much luggage you’ll need. Once I get my whole trip laid out I will pack it all into my luggage. This trip will be a bit interesting as we are flying with a new airline and are limited with both carry-on and checked luggage (ugh, don’t these new airline luggage rules stink?!). Between the hubs and I we are planning for one carry-on, one checked bag, and two personal items. Make sure to check your airline for their restrictions and guidelines before you start packing. I hope this helps you out and allows you some relief from the packing stress! 1 – No NEW is good NEW… pack the stuff that’s tried and true for you. This is not the time to find out that the cute new top chaffs like no other. 2 – Extra shoes if you’re running multiple races. You do not want to be starting out a marathon with soggy shoes because it rained the day before. 3 – Check out the expo and race info online before you go to see if they’ll have the gels/fuel you like. If not, pack some from home! 4 – Don’t freak out if you forget something. While its not ideal to wear new shoes for a race, it can be done. Don’t let missing something in your packing add additional stress where its not needed. 5 – HAVE FUN. If you’re running a Disney race, then you will definitely have a good time. But don’t let PR’s or PB’s, or PD’s, or anything else get in the way of enjoying your race. 99% of us are not running for a place in these races, so just remember to have fun with it! 29 Alternate: Walk Disney Parks!